Beginning with the Ephesian Philosopher, Heraclitus, it has often been famously said that “change is the only constant.” I recently purchased yet another version of my preferred textbook on Photoshop by Martin Evening: “Adobe Photoshop CC for photographers” (formerly “Adobe Photoshop for Photographers”); now “version 2018”. My last version was purchased only 4 years ago, and yes, there has been that much change in this program! I had been refreshing my memory on a couple of the tool settings and realized that there are options on my screen that weren’t covered by my book. That got me thinking about change and the learning curve. Thomas and John Knoll first created their “Photoshop” software, to display grayscale images on computers, in 1987. Not yet “ready for prime time” or for retail consumption, the early “Knoll Software” company’s program was first known simply as “Display.” It was shortly changed to “Image-Pro.” But when they finally found a buyer and it went to the commercial/retail market in 1988, having been licensed to the Adobe Software Company, it became “Photoshop,” and continues to this day, to be the benchmark everyone is trying to meet or beat. While the very first useable digital camera was probably created by Kodak in 1975, the real “revolution” began in the late 1980’s and early 1990’s. During that time period some DSLR cameras were produced but were too expensive for general consumption. Smaller “digicams” began to appear, however, and it has been my thesis over the years that although we now have some pretty amazing digital cameras at reasonable prices, it was these consumer “point & shoot” digital cameras that drove the revolution. The 1991 Nikon D1 was probably the first semi-affordable enthusiast/pro camera and still cost a healthy $5,000 (while weighing in at nearly 3 pounds and delivering a whopping 2.7 megapixels). Canon and Fujifilm followed shortly. Then the Canon 3 megapixel, D30 debuted in 2000 as the first real “prosumer” DLSR. In 2002, they followed with a 6 megapixel D60 and Nikon matched with their own 6 megapixel D100, both coming in just under $2,000, and the “prosumer” DSLR revolution was in full swing. For the next nearly 20 years, we saw a continuous lineup of new digital cameras, beginning with “APS” sized sensors, to so-called “full-frame” 35mm-equivalent sensors, and from traditional SLR-styled bodies, to the newer mirrorless models. Of course, there were also larger format digital bodies, but because of a mix of expense and size and limitations on ISO, they have never caught on with the masses. Along with the evolution of digital cameras, there was a need/demand for pixel-editing software. And while there have certainly been numerous participants in the mix, Photoshop has been the benchmark to meet or beat. From 1990 on, there were new editions released approximately every two years. When first released, Photoshop was written for MAC computers and only available on Apple’s platform until version 2.5, released in 1992. Clearly this was in response to demand. Since version 2.5, new releases have essentially been parallel for Window and Mac. And over time, some pretty impressive new features were added every few years. Originally having notable features like levels, curves, the clone tool, color balance, hue and saturation adjustments, in 1994, layers were added to version 3.0. In 2003, for reasons really known only to Adobe, Photoshop dropped the version numbers in the title (with version 7.0 being the last) and became “Photoshop CS” (versions are still retained, however). CS introduced ACR (Adobe Camera Raw decoding engine) 2x. CS2, in 2007, added a new user interface and some additional bells and whistles. CS3 continued the “new and improved” feature set. In 2008, CS4 was released with lots of “refinements,” but nothing new and exciting. Though we are up to, I believe, “version 7 or 8 of ACR, there is little or no change from version number to version number. The real changes occurred in what Adobe refers to as their “process version.” In 2003, we were working with process version 1. Process version 2 was rolled out in 2010. It may have been the most dramatic change. Process version 3 came in 2012, and we are now working with process version 4, since 2017. At the same time, Adobe released Lightroom 1.0 in 2007, following with version 2.0 in 2008. This program was aimed squarely at photographers. Photoshop is a very robust graphics editing and creating program, which was Adobe’s only in depth pixel editing offering for serious photographers (Elements and other versions of “Photoshop – Lite” type software were available, but were in my experience, woefully inadequate to the task). In the meantime, many of us photographers found that the continuing stream of new versions often did not justify the cost of the upgrade. We often skipped a version (or two or three). Then, when the CS series came along, Adobe began to essentially require sequential upgrading. Shortly after that, Adobe announced the discontinuation of the stand-alone version of Photoshop,with the roll-out of cloud-based Photoshop CC (in lieu of CS7). Unlike the former Photoshop model, “owners” of the full program installed on their computer (well, at least owners of the right to use it 🙂 ) have now become “subscribers,” paying a monthly fee and working in “the cloud” (on the internet). This, in all probability, has motivated some new, competing “complete photo-editing” programs, which tout the fact that they are still stand-alone. And some of them are pretty darn good. Lightroom has continued to develop (pun intended) as a stand-alone photographers’ alternative to Photoshop. Apple’s now-discontinued Aperture was also a parallel Lightroom alternative for Apple owners (I am not an Apple user, but I understand that part of the decision involved Apple’s roll-out of a new program called “Photos” which will integrate with its iCloud – it appears that iPhotos and Aperture will not, including the legacy software, which should still work stand-alone). Meanwhile, it seems that everyone is jumping on the raw editor “bandwagon.” A quick online search reveals at least 10 (and I am sure there are more) names that have some familiarity out there. Some of them started out as Photoshop “plugins.” I have played around with a couple of them, including ON1, Capture 1, and Topaz Labs. They are all up-and-coming Photoshop competitors. There are those who say one or the other of them does some things better than Photoshop. Sounds a bit like the “camera wars” we have all come to know. Every “flavor” is going to have do some things better than the others, and some things not so well. I will continue to look at these alternative (or in some cases supplemental) programs. But for now, Photoshop still does the overall combination of things that works best for me (and at this time, I believe, the majority of others doing digital post-processing). It has been a while since I reviewed a book here. Indeed, these days, to think the ever younger population would even be interested in a hard-copy book might be simply quixotic. Followers here know that I have recently ventured back into the genre of B&W imagery. Rather than review one book here, I am going to tackle two books: “Black & White Photography; The Timeless Art of Monochrome,” by Michael Freeman; and “Creative Black & White; Digital Photography Tips & Techniques,” by Harold Davis. I have a rationale for reviewing these together. For one thing, I think reviewing them separately will cover already “ploughed” ground, and would make for a couple of repetitive blog posts. But perhaps more importantly, if fits with a philosophy of learning that I will espouse. I should first acknowledge (as I may have alluded to at the beginning of this post) that we all learn differently. I have many friends who shoot, and who have never (or at least rarely) picked up a book on any photographic topic. I suppose I am not preaching to them, but in some cases, I still believe they might be pleasantly surprised at what the “deeper dive” might reveal in terms of pleasure and interest in topics photographic. But for those of us who are students and learn by books and written materials – either because they learn best that way, or because they have too, I hope my thinking resonates. There is no such thing as a complete textbook in any subject. Indeed, when I see “The Complete….” anything, in a book, its credibility immediately erodes a bit (though it is just a title, and I do try to keep an open mind about what might be between the covers). As a teacher and writer (both on a relatively small scale, but nonetheless contributing to some hands-on experience and knowledge), I know that it is not possible to find a “textbook” that is complete in its coverage. Every subject needs to be supplemented and augmented by other materials; often written. As a college student, my more rigorous instructors routinely assigned a “reading list” of books which were not the institution-chosen and assigned textbooks. This is because they knew none of them alone were going to really impart the rounded subject knowledge necessary to become proficient. I reviewed these books on Amazon and made the same observation. I gave them both 5 stars because I thought they both deserved it. As an aside, I am not a fan of the “star” rating system Amazon uses. As a writer of two eBooks, myself, I have seen how that rating system can severely skew the perception of the book and I suspect skew sales in the same way. That is why my rating system is different, and I think more useful to the purchase decision. In so doing, I am not suggesting that either book is complete, perfect, or even without some shortcomings. They both have them. But what I want to know as a reader is are they worth the purchase? Will they be a worthy addition to my resource library, and is there enough worthy material to justify the purchase of the book. In both cases, I believe the answer is yes. Freeman and Davis are both accomplished professional photographers and writers. The former does not automatically beget the latter J. There is some pretty pedestrian stuff out there. Too many books today are just a re-hash of basic photography and Photoshop principles, in the guise of something specialized. They may have their place, but I tire of picking up a book that purports to “take my – you fill in the blank – to the next level,” and then spends 75% of the book telling me how “f-stops” work, what the depth of field and focal length relationship is and how focal length relates to sensor size. I also tire of the books spend an inordinate portion of their pages on basic techniques in Photoshop and other software. Don’t get me wrong. We need books on those topics. I keep Martin Evening’s “text” on Photoshop CC right next to my computer and consult it often (“Adobe Photoshop CC for Photographers;”). But it does not purport to be a specialized book. So it is a pleasant plus to note that both of these authors tell you these are not “Photoshop How-To” books. And other than showing us steps as they specifically relate to the topic, they require at least an intermediate knowledge of the underlying software (mostly Photoshop and Lightroom). I found myself lacking some of that knowledge at times and having to consult my Photoshop generalist book(s). That’s ok. My knowledge base is from numerous accumulated sources. What I am looking for in books like these are whether they impart what they purport to – in this case, teach me something about Black and White imagery, in the context of digital photography. And, when they do, do they impart enough (quantity and quality) to justify their purchase. I think both of these books clearly do. Interestingly, both of these authors chose to divide their books into 3 major sections, dealing with some of the background of B&W photography; Digital theory and Techniques; and then a “Creative” section. In Freeman’s case, they are chapters 1 -3. The first “Chapter,” entitled “The Black and White Tradition,” covers some history of black and white photography. But it does so in a manner that is brief enough not to lose the reader, who – after all – probably bought the book to learn about digital black and white techniques. But there is enough information there to bring context. I think Freeman does this really well. He also talks about the “theory” of black and white, and how concepts like tonality, shape, texture, and lighting greatly affect the black and white image. Chapter 2, entitled “Digital Monochrome,” delves more deeply into the digital side of things. As a base for understanding, Freeman explains how the digital capture sensor is built and notes the difference between the “linear” response curve of digital capture and the traditional response “curve” of film. While this may seem overly technical for the stated purpose of the book, I think it is important to understand why we make the digital “moves” we do when operating the software. This is well done and illustrated, with again, just enough information without overwhelming the reader. Freeman spends a little time mentioning some of the software applications available other than Photoshop, including the NIK Silver Efex and the ON1 programs, among others. This is a nice, if small, departure from what is the “norm” in books with an overwhelming emphasis on Photoshop. I have Photoshop and am not sure I could “live” without it. But I sure know a lot of photographers who do not have it and get along perfectly well. So it is nice for a change to at least have some “honorable mention” of alternatives out there. I think that Adobe Lightroom and the up and coming ON1 RAW suite are going to give most photographers every tool they really need. And today, if I were going to have to pick, I would lean toward ON1. The next few sections dealing with black and white processing are really the meat of the text. They describe several methods for conversion of digital images to B&W, and a number of useful adjustment techniques using the powerful tools available in software. It is here where the book should shine. And content-wise, is does not disappoint. However, the presentation, unfortunately, leaves a little tarnish on the shine. There are numerous instances where the author makes reference to an illustration, or a Photoshop tool that he relies on, as if it were presented as an illustration in the book. But the illustration is nowhere to be found. At times it seems like it should be an illustration and it is just plain missing, leaving the reader at first searching for it and then scratching her head, wondering what the ….? For example, he will often say something like, “as the histogram in this image illustrates …..” and then rather than having a histogram as an illustration for the image, the book will show the image and occasionally some sliders for the suggested adjustment. A number of times, he walks us through the process he uses to enhance an original image, and notes that the final image is “better” because …. And then the original image is not shown to us in the book. It just seems logical that you would do that in order for the reader to see the beginning and the result of the steps he has taken us through. Sometimes the “stages” are illustrated but not the original image. This is not consistent throughout the book. Perhaps some more rigorous editing would be in order here. But look, both of these books warn the reader that they are not Photoshop tutorial books, and that the reader should have at least an intermediate grasp of Photoshop and digital post-processing. So it is easy enough to “infer” in the above instances, and I certainly would not let it deter me from purchasing, reading and using the book as a reference. On balance I felt there was a lot of knowledge imparted, and a fair amount of inspiration to forge out on my own. I think this is a book that is well worth the price for any photographer who (like I do) likes to learn by reading and likes to “get under the hood” a little bit, and wants to work with Black and White digital processing of their images. Interestingly, this is a 2010 book (while Freeman’s is a 2017 publication). One would think it is becoming dated, but it is not, it is still very much applicable and useful. I thought the first section in Davis’ book could be thinned by about 2/3. It just seems to repeat itself, and repeat itself. He also has a tendency toward “flowery” language. At times, I found myself noticing that, instead of the information it was trying to impart. To me, that detracts from the mission. But we all speak and write our own way – and to each his own. None of the criticism here should, in my opinion, deter a purchaser. This is a very good addition to my own library, and I learned (and will no doubt continue to learn) a lot from it. Once I got into the second section – which is really the “meat” of the book in my opinion, I forgot about any negative tendencies and it very much held my attention. Davis does a great job – almost in a “cookbook” formula, of illustrating a number of ways to handle B&W conversion, along with the whys and hows. He gives – in most instances – a step by step explanation of how he does the processing (mostly in Photoshop) with enough information to see and accomplish the result, without getting into an “in-the-weeds” tutorial on Photoshop. I like that. The second 2/3 of this book did everything it promised and was everything I expected. I will have this book on my bookshelf next to my workstation and will no doubt consult it often. I am looking forward to experimenting with the techniques I learned in the book and truly believe it is worth a photographer having in his or her library. I bought and will keep both of these books in my library. You may have noticed that I rated the Davis book higher. It is a book that has a lot of “hands-on,” practical information and applicability to what the prospective reader is likely looking for: how to process my images to B&W in the best technical way. In that sense, I think a photographer who is looking at learning about B&W conversion of digital images (and maybe even an experienced person) will find this an immediately useful “cookbook” for this purpose. That is why I recommend it. The Freeman book, much like all of his books, is more theoretical, and in my view looks more to inspiration and aesthetics. That is why I “suggest,” rather than recommend it. It will not be everyone’s cup of tea. In one sense, it may get a little too far “under the hood.” That is something I like because I am wired that way. But many people would rather let someone else do the mechanics and concentrate on the driving. I think Davis’ book fits the latter bill better. I personally look for inspiration and some of that detail, and I enjoyed Freeman’s book every bit as much as the Davis book. I will keep them both and both rated 5 stars on the Amazon review process. To use a currently popular “texting” phrase, YMMV. As always, thanks for reading and I would welcome comments. In 1965, Leslie Gore crooned “Its my Party and I’ll Cry if I Want To.” Well. Its my Blog and I’ll brag if I want to :-). Or Plug. In 2012, I published my first e-Book: Photographing Vermont’s Fall Foliage. This book is a one-of-a-kind resource for photographers seeking guidance on how to find and get to some of the best photography opportunities in the world. Photographers, it is time (if not already too late) to plan your fall foliage trip and there is no better destination than Vermont, nor better shooting guide than Photographing Vermont’s Fall Foliage. We are just a month away from September 15 and the beginning of the 2016 season! I have traveled to Vermont during its foliage season (generally between September 15 and October 15) for many years. I lived there for about 4 years back in the 1970s. Returning in the 2000’s to photograph there, I was disappointed and surprised to find very little real useful information about shooting locations and conditions. There are a number of very good books by some top-drawer professional photographers, but they seemed to either be designed primarily to showcase the writer’s own work, or to concentrate too narrowly on a geographic region, or type of image. In the early years of my trips, I began to keep notes of not only the shooting conditions, but specific directions for locating the shooting vantage point, parking, and time of day considerations. Over time this morphed from my personal notes, to a PDF document offered on my first website, to its culmination in the e-Book in 2012. Due for a refresh in 2017, my friend, talented photographer, and sometime Vermont resident, Carol Smith, will be joining me as co-author. We will be adding new destinations to the book (many of which she has found and shown me, including the Burton Hill Road farm shot above). This Blog is designed to promote my book and to give a few examples of the near-unlimited photographic opportunities Vermont offers. There are a large number of barn scenes, and “New England” churches and villages to be photographed in Vermont. Vermont also has the distinction of being one of the states with the most wooden covered bridges (I believe it ranks third) in the U.S. Many of these bridges are very photogenic. For Waterfallers, there are hundreds of great falls; many of them virtually unknown. The mountain brooks and streams provide many exploring and shooting opportunities. There are also numerous small lakes and ponds creating reflection, cloud and atmospheric opportunities. Vermont also has a large number of state parks and recreational facilities. I hope you will visit the eBook page and go to your favorite online retailer (the book is available on Amazon, iBooks, Barnes and Noble and Kobo, among others), and download this guide. Comments and reviews are very much welcome. Hope to see you out there somewhere this fall! The Michigan UP eBook is Finally Here! For the regular visitors here you have undoubtedly seen the sidebar banner: “Andy’s E-BOOK — Photography Travel Guides” with links to the Vermont eBook and reference to the in-progress, Michigan U.P. eBook. Anyone who has clicked the latter link has seen the disappointing excuse that it is coming soon (which has been there since sometime in 2012 not very “soon” 🙂 ). Those who go way back may recall that I originally offered both these books as PDF files back prior to the publication of the Vermont e-book in 2010. Circumstances after that made it impractical to offer the PDF files anymore. But in spite of my best intentions, the Michigan UP project languished. Conversion to an ebook meant essentially re-writing the existing material, and substantially expanding it. And for anyone who hasn’t tried this, the reality is that writing a book is a lot of work (even when it is a “labor of love”). This one was no exception and many hours were spent getting it ready to submit for eBook publication. I needed help and some inspiration, and my co-author, Kerry Leibowitz came along at the right time. He had a lot of experience in the U.P., and we talked back and forth about our trips and shooting successes up there over the years. Over the years, Kerry made a number of helpful editorial comments and observations and I ultimately asked him if he would consider co-writing the book with me. As is not unusual in our electronic age, Kerry and I have been acquaintances, crossing paths on a couple different photography “boards,” for a few years now, and yet, have never had the opportunity of a face to face meeting (though I believe it is just a matter of time before that happens). Some of you are sure to know him, and his work, but if you don’t, I encourage you to take a few minutes to follow the link here and go look at his imagery, and his blog. You will see that he is a very talented and knowledgeable photographer, and you will see just how fortunate that I am that Kerry agreed to co-write this book with me. With as much time on the ground in the UP as I have, Kerry’s addition to the book will be immediately obvious to the reader. And, we believe that our different approaches and the varied UP locations we have visited, conspire to create a more comprehensive and informational book. Anyone who has photographed up there understands that it would not be possible to chronicle all the different places in the UP that are “photo-worthy” and this book does not claim to do that. Rather, it is an informational work (primarily) for photographers who want to make a trip to the UP and need to do some research on the possibilities, and more importantly, reasonably detailed directions for how to get there, and in many instances, when to get there. We have included driving directions, approximate mileage in many instances, general-area GPS-coordinates (where they make sense), and our individual observations about the locations. Available on Kindle from Amazon now, and other major e-platforms (iBook, Nook, Kobo and others) at major outlets like Amazon, the iBookstore and Barnes & Noble in the next few days; Kerry and I are very excited to offer the First Edition of “Photographing Michigan’s Upper Peninsula.” You can order this book by going to my link in the upper left corner of this blog page (really – there is a book and the link works now 🙂 ). While you are there, take a look at the Vermont eBook, too. I plan a major update and 2nd Edition in the coming months. While I am not by any means comparing Mr. Schewe, the photographer, with Ansel Adams, the photographer, I can say with some confidence that he, along with the late, great, Bruce Fraser, were two of the foremost pioneers of digital processing of images. 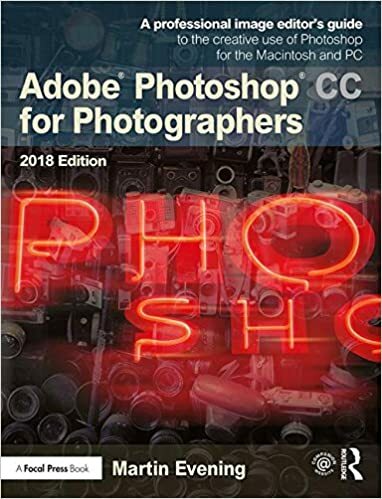 I have read a number of other, fairly technical books written by them, this 2-volume series is a distillation of the essentials for a digital photographer, of capturing the best quality image, and printing it. Like anything in life, some of us will relate to the writing style of certain authors. This book is far from a “for dummies” style book. Yet it is not a mind-boggling technical tome, either. I appreciate Jeff’s conversational style of writing, with some dry humor interjected here and there. Others like the more entertaining style of a — say Scott Kelby. To each his own. If you think you will never have an image printed on paper (or other substrate), read the first book and skip the second. Most of will want to read them both. I have previously noted that I am a “get under the hood,” type. For those who just want to get on to printing, today’s printers, with their built-in drivers, will probably produce a satisfying result for you, “out of the box.” Or perhaps even easier, upload your images to one of the many, very good, commercial printers out there. But if you like to see how to optimize the pixels you have captured on your “mega-pixel” camera, then these two books are a “must read,” in my view – and will probably mean you don’t have to read any other books on post-processing and printing. Before executing the “send to print” command, there are a number of (some of them very technical) steps that must occur to get the image ready for printing. If you are interested in getting the most out of your digital image, this book gives you all the information you need, in a manner that — to my mind — has just the right mix of technical and down to earth. The companion (first in the series), “The Digital Negative,” covers both the Adobe Photoshop (ACR) engine and the Adobe LightRoom engine thoroughly. As one might expect from a continuation series, “The Digital Print” does likewise. But in this book, Schewe goes into a bit more detail about the two. Toward the end of the book, in the section on actual printing, he opines that Lightroom (generally) is a better place to print from. But first, he gives us a brief, but interesting history of the development of digital printing technology. I have become set in my ways. I need to spend some time in Lightroom. I have never printed an image from Lightroom, but I will be trying that in the very near future. He next gives some insight into choosing a printer and the different “flavors” available today. Printer and ink technology continues to evolve favorably, so look for updates to these texts in time. 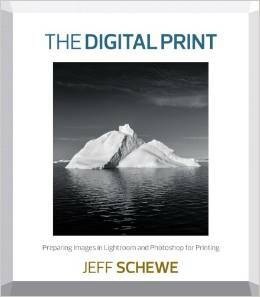 The book spends a fair amount of time discussing use of printers and drivers on different platforms, and printing from two software sources: LightRoom and Photoshop. He also covers printer-specific settings, and when and how to choose between printer and software drivers. There is also some coverage of B&W printing. Different printer technology creates the print differently and Schewe explains how to “purpose” your digital file for the particular output method. There is a chapter on color management. There are a number of great books available on the subject of color management. Though the term, itself sounds intimidating, the concept is simple enough. When we go from one display medium to another we need to have a way to “communicate” the information so the viewable result is consistent. Because of the different technologies employed in capture, post-processing, and displaying, that is much more easily understood in concept than in actual practice, however. When you do “look under the hood” of your Photoshop or Lightroom (or any other) printer driver, you see lots of scary words and checkboxes like “color space,” “rendering intent,” “profiles,” etc.). So most of us need some “plain-English” interpretation. This book does that. Schewe does a good, and succinct job of making this very complex subject understandable to us laypersons. The Digital Print spends some time covering important aspect of post-processing for preparation of a file to print. For those who did read “The Digital Negative,” there will be some repetition here. I have two observations about that. First, a little repetition/review will do most of good. Second, and more practically, the author had to consider the at least a percentage of his reading audience would not have read the first book. So he includes the essentials again. :-). It then moves on to an oft misunderstood topic: resolution. Schewe gives us an understandable explanation of image resolution vs. printer resolution and why the really aren’t identical concepts. Most importantly, he explains how it relates to the final print and how to choose resolution, re-size images for print, etc. There is coverage at the end for purposing your digital file for a third party printing company. If there is a weak area in the book, this is it. I am not sure it matters, given what I percieve to be the intended audience: those of us serious (geeky 🙂 ) enough to want to do our own printing and own our own printers. For those who spend significant time and effort getting images ready for the third-party printer, perhaps an entire short text could address the more aptly. In my case, for the few times I have engaged a third party printer, I have worked closely with them, obtaining specs they want, giving them proofs, and discussing my vision of the final image. That has worked well for me. The book concludes with a discussion of inks, papers and other media, viewing distances and environments, longevity, and workflow. The Digital Print completes the technical journey following capture and post-processing, to output. In my view the books are a great companion series, but are not necessarily equally weighted. If I only had the interest, patience, or budget for one of the two books, I would recommend the first book, “The Digital Negative.” But for those who like closure and the whole picture (pun intended), I can wholeheartedly recommend both books in the series.